Arvin, Newton. 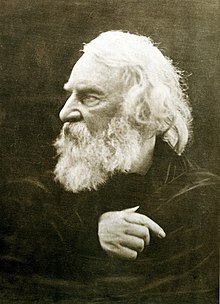 Longfellow: His Life and Work. Boston: Little, Brown and Company, 1963. Bayless, Joy. Rufus Wilmot Griswold: Poe's Literary Executor. Nashville: Vanderbilt University Press, 1943. Brooks, Van Wyck. The Flowering of New England. New York: E. P. Dutton and Company, Inc., 1952. Calhoun, Charles C. Longfellow: A Rediscovered Life. Boston: Beacon Press, 2004. আইএসবিএন ০-৮০৭০-৭০২৬-২. Gioia, Dana. "Longfellow in the Aftermath of Modernism". The Columbia History of American Poetry, edited by Jay Parini. Columbia University Press, 1993. আইএসবিএন ০-২৩১-০৭৮৩৬-৬. Irmscher, Christoph. Longfellow Redux. University of Illinois, 2006. আইএসবিএন ৯৭৮-০-২৫২-০৩০৬৩-৫. McFarland, Philip. Hawthorne in Concord. New York: Grove Press, 2004. আইএসবিএন ০-৮০২১-১৭৭৬-৭. Silverman, Kenneth. Edgar A. Poe: Mournful and Never-ending Remembrance. New York: Harper Perennial, 1991. আইএসবিএন ০-০৬-০৯২৩৩১-৮. Thompson, Lawrance. Young Longfellow (1807–1843). New York: The Macmillan Company, 1938. Wagenknecht, Edward. Henry Wadsworth Longfellow: Portrait of an American Humanist. New York: Oxford University Press, 1966. Williams, Cecil B. Henry Wadsworth Longfellow. New York: Twayne Publishers, Inc., 1964. Sullivan, Wilson. New England Men of Letters. New York: The Macmillan Company, 1972. আইএসবিএন ০-০২-৭৮৮৬৮০-৮. Works by Henry Wadsworth Longfellow at Internet Archive – Scanned books, many illustrated and original editions. Public Poet, Private Man: Henry Wadsworth Longfellow at 200 Online exhibition featuring material from the collection of Longfellow's papers at the Houghton Library, Harvard University. The Oliver Wendell Holmes Library at the Library of Congress has noteworthy representation volumes inscribed by Henry Wadsworth Longfellow.